Jeff Denham, 51, is running in California's District 10 against Josh Harder, a 31-year-old venture capitalist turned Modesto Junior College instructor whose family is from Turlock. Republican Congressman Jeff Denham has been a representative in the San Joaquin Valley since 2011. This isn't his first time facing, and beating, a challenger on the left, but this year you might say it's getting uncomfortably close. 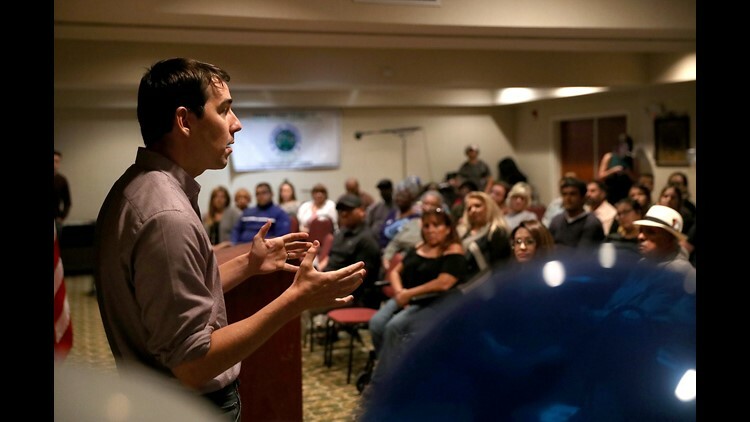 Denham, 51, is running in California's District 10 against Josh Harder, a 31-year-old venture capitalist turned Modesto Junior College instructor whose family is from Turlock. Harder has never held or run for office before and has said he decided to get involved with politics after the Republican sweep in the 2016 Election. The race is tight. A recent UC Berkeley poll has Harder leading Denham by five points among likely voters with five percent still undecided. FiveThirtyEight currently says the district has a 70 percent chance of going blue (a big feat that would also help Democrats win control of the House). Despite these numbers, the picture on the ground is far more complex. "You've got different forces that help out Denham and different forces that help out Harder here," Dr. Stephen Routh, a Stanislaus State political science professor, explained, "And so it's going to be damn, damn close." 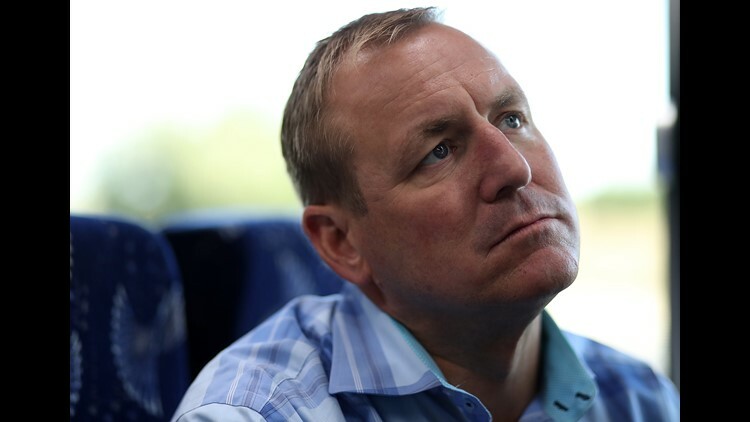 Jeff Denham: What's working for him? The biggest thing working for Denham is his incumbent advantage. "Denham has been very effective with building good relationships with his constituents here," Dr. Routh said. "He's a tough guy to beat." District 10 often votes slightly blue on state and national races — even voting for Hillary Clinton in 2016 — yet Denham has been able to hold on to his seat. In recent weeks, the Trump administration has weighed in on California's water wars and the so-called "water grab" in favor of farmers in the area. The policy moves could help Denham win over some voters in this final stretch. Josh Harder: What's working for him? The number one thing Josh Harder has going for him is potential Democratic enthusiasm. Turnout among Democrats in the June primaries in District 10 went up compared to 2016. Republican turnout went slightly down. That difference, according to Dr. Routh, "speaks volumes" about which party might ultimately see more turnout in the November election. Harder himself says he expects a "blue wave." "In 2016, there were 100 people volunteering in the Democratic campaign in this district," he said. "This year there are over 3,000. Thirty times the number of people." Jeff Denham: What's working against him? Denham's biggest challenges are the national forces operating against him: President Trump has a low approval rating in California and the historical trends that aren't in his favor (the president's party often loses seats in the midterm election). "Donald Trump is the 800-pound gorilla basically in the living room," Dr. Routh explained. "Trump is not on the ballot directly, but he's out there. His presence may be motivating people to vote against the Republican brand." On issues, specifically, Denham has faced criticism from constituents for voting in favor of the GOP's plan to replace Obamacare. Denham told voters he ultimately signed on to it because of a last-minute amendment that would have helped people with pre-existing conditions pay for medical costs. States, though, would have had the option to opt out of doing so. "Look, I continue to work on valley issues," Denham told ABC10 when asked about that vote in a recent interview. "Pre-existing condition was one of those conditions that I needed to have in the vote. My father passed away on a pre-existing condition. But our biggest issue here is access." That healthcare vote, however, continues to haunt him, both in ads and on the stump by Harder, who has made it a central issue to his campaign. Josh Harder: What's working against him? "Older people are not going to like that," Dr. Routh said. In addition, Harder has to overcome some pretty tough attack ads waged against him. Denham has branded Harder — who lived in Silicon Valley prior to moving home to Turlock — as "Bay Area Harder." Republican ads call him a "shady venture capitalist" with "San Francisco values." Dr. Routh believes those ads could likely be hurting Harder, but when asked whether he's concerned, Harder said absolutely not. Harder told ABC10. "This a debate that is going to be fought around the issues."